There are numerous benefits for all households, but some might find them to be more pressing than others. If you have smokers in the home, pets with a lot of dander, or any other factors that may be taking a toll on the air quality of your home, air duct cleanings are especially important. The same is true for homes who have elderly members, children, or anyone with breathing troubles like asthma. This is because bad air quality exacerbates these problems, and things like cigarette smoke and pet dander add to the problem. Dirt and allergens already stack up in your home's vents over time and pollute the air in the process, so even without additional factors, it’s still a good idea to get them cleaned regularly. Our team of professionals would be happy to help you get your air ducts completely clear of any dust or otherwise that may be clogging them up and reducing the quality of your home’s air. We’ll do this without making a mess or simply stirring up particles to further pollute the air thanks to our top of the line pieces of equipment. The blocks will be dislodged and immediately removed with a high-powered vacuum, making the process thorough as well as fast. Air quality testing is also available for those who want to know exactly where the air of their home stands, and what particularly is in it. This can be extremely helpful for pinning down what specifically is negatively affecting your home’s air so you can focus on the problem and fix it. It will tell you everything from if there’s mold spores, to too much pesticide. 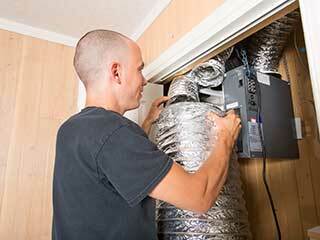 It’s a quick and easy process that can really help with improving your household’s air overall. Air Duct Cleaning San Francisco is here and ready to go when you are to take care of getting your home’s air like new again before you know it!